* A popular perfume oil from renowned brand Al Rehab. 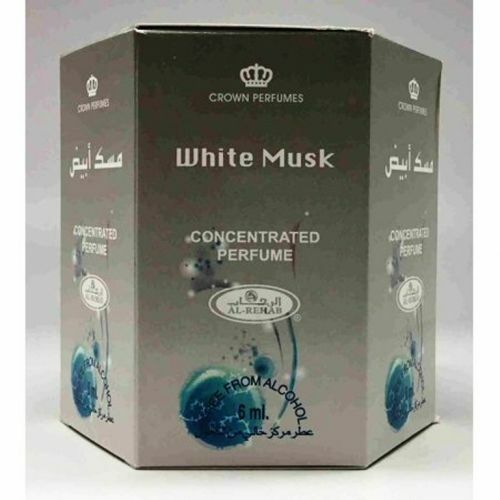 * It is a high quality and longer lasting perfume which is free from alcohol; a little of this delightful, high quality, exotic, longer lasting concentrated perfume oil goes a long way. * These perfumes are made of precious natural essences (Flower, Oudh, Musk and various spices). * Al-Rehab produces liquid perfumes, perfume oils (or attars, which is a traditional name of Arabian perfumes), solid perfumes and fragrances. suitable for elegant men and women. * Concentrated Perfume Oil from Al-Rehab (Jeddah, KSA).